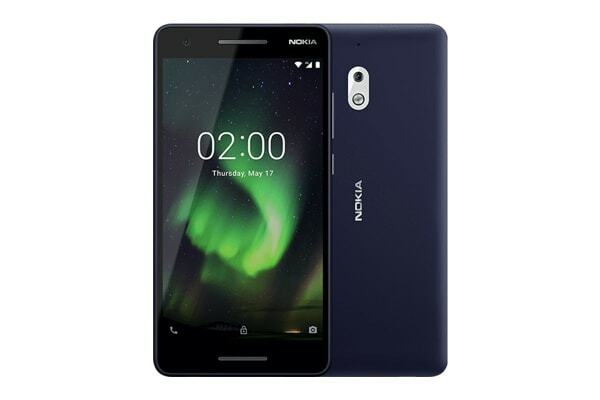 Featuring a big 5.5” display and battery life that lasts up to 2 days, the Nokia 2.1 allows you to be more productive when you work hard, and enjoy life when you play harder. The Nokia 2.1 amplifies every viewing experience – whether you gather around the impressive 5.5” HD screen with friends, or indulge in a moment thats all yours. Your viewing experience is made complete, with dual front speakers that deliver an immersive stereo sound. A huge 4000 mAh battery keeps the Nokia 2.1 going for up to 2 days. Whether it is work or play has needs your attention, spend less time worry about charging and more time doing what you love. The sleek design with metallic coloured detailing makes the Nokia 2.1 stand out. Enjoy crisp and clear photographs thanks to a 8 MP auto-focus rear camera and 5 MP front camera – so you can capture anything from that perfect moment to a hilarious selfie. Watching videos, surfing the net and switching between apps is smooth and easy thanks to the Qualcomm Snapdragon 425 processor, which is optimised for use with Android 9 Pie (Go edition) featured in the Nokia 2.1.